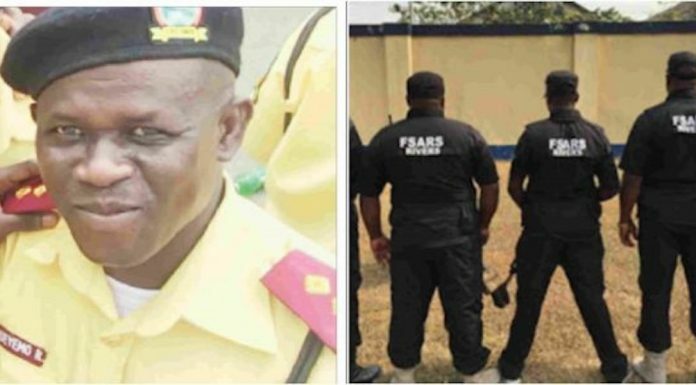 A police inspector attached to the Federal Special Anti-Robbery Squad (FSARS), Ikeja Wednesday allegedly shot dead an official of the Lagos State Transport Management Authority (LASTMA) while controlling traffic. It was also learnt that the victim, popularly known as â€˜Baba Ibejiâ€™, had stopped the police inspector who was driving a cream coloured Highlander jeep with registration number LSR 277 BJ to allow free flow of traffic. According to sources, the policeman, who felt insulted by Adeyemoâ€™s warning, allegedly pulled a pistol and shot the LASTMA official in the eye, killing him on the spot. â€œI am writing a release on the incident,â€ Oti said.